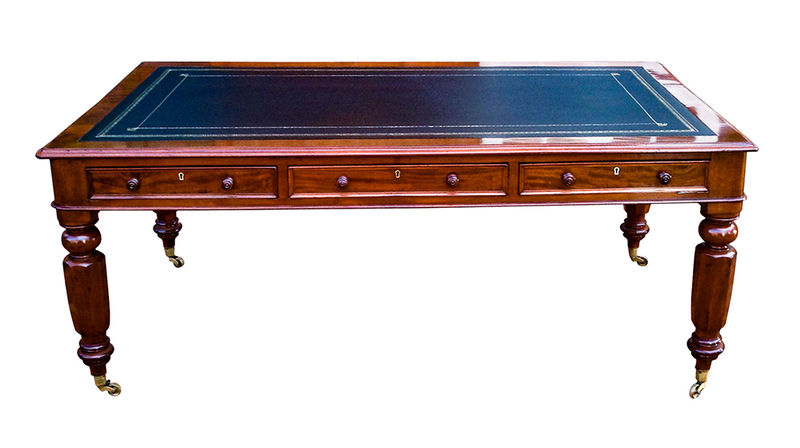 A good quality antique partners library table or desk constructed from well-figured mahogany timbers. 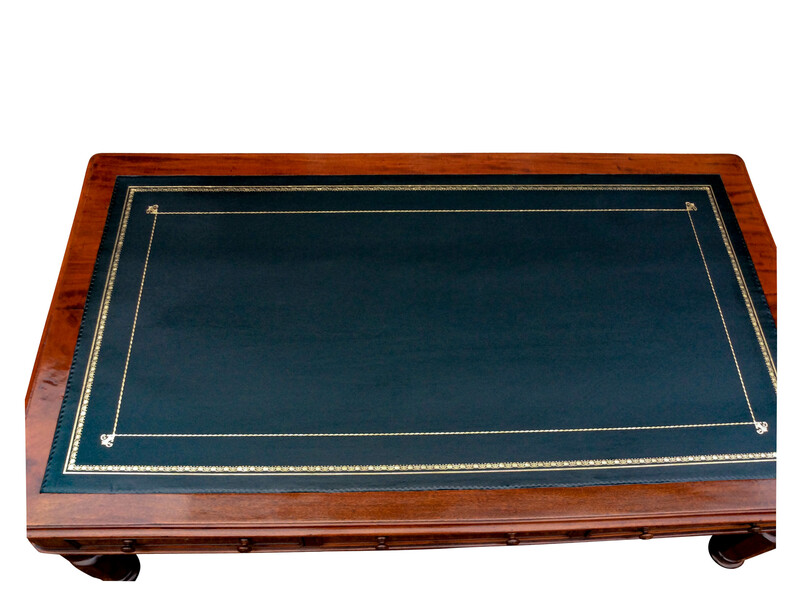 It has recently been restored and has a replacement black hide writing leather with gilt and blind tooling. The frieze is fitted with three drawers to front and back. 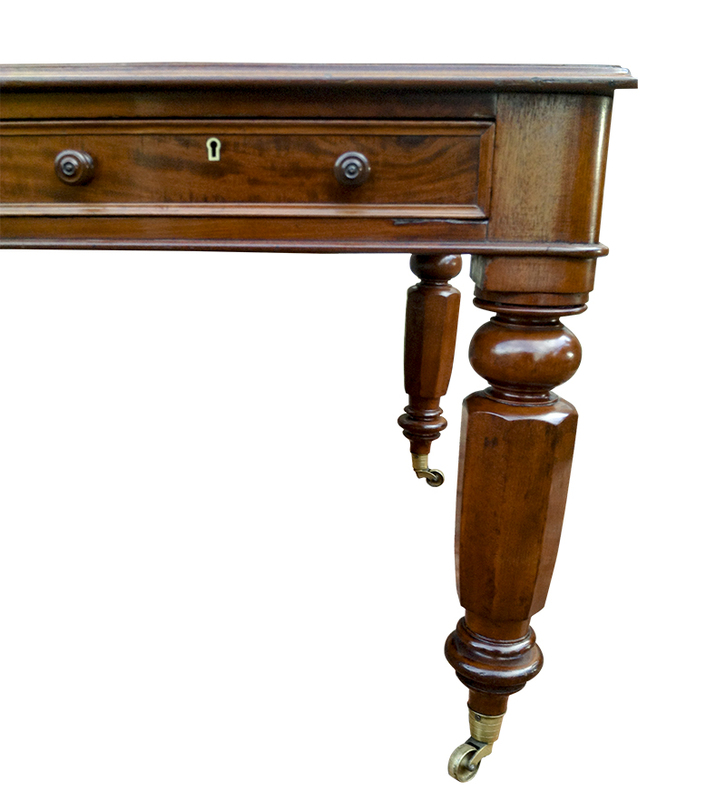 All drawers have brass locks, ogee mouldings to the front edges and turned wooden knobs. You may also be interested in an antique chair ? 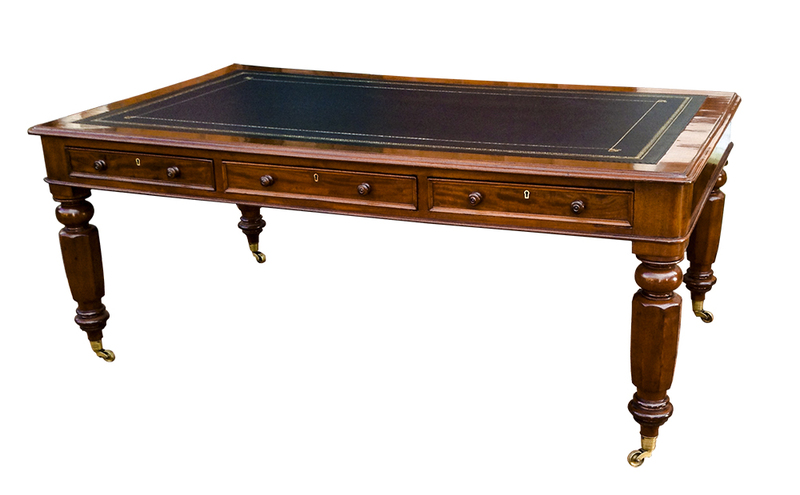 A good quality antique partners library table or desk constructed from well-figured mahogany timbers. 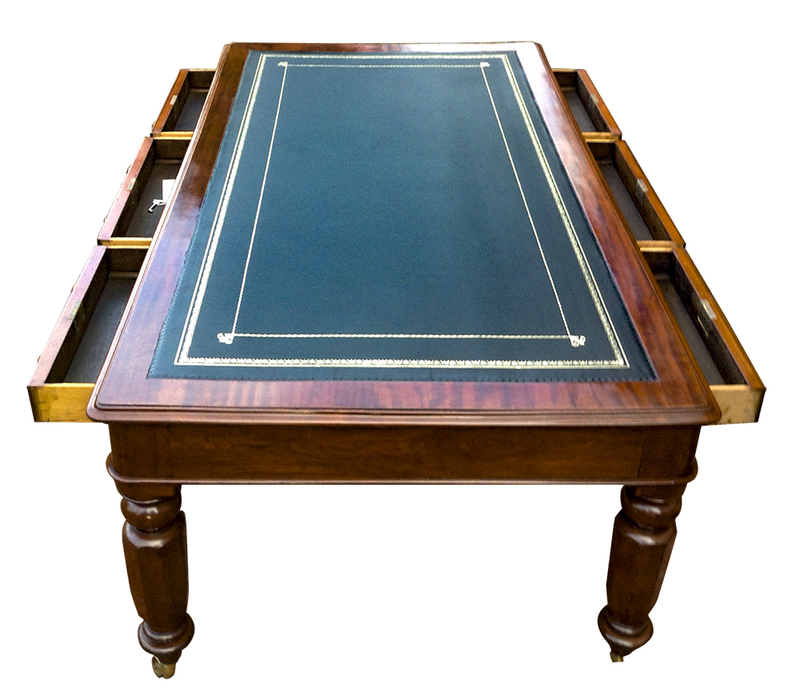 Each side of the width is fitted with three mahogany lined drawers. All drawers have hand cut dovetails, brass locks, ogee mouldings to the front edges and turned wooden knobs. 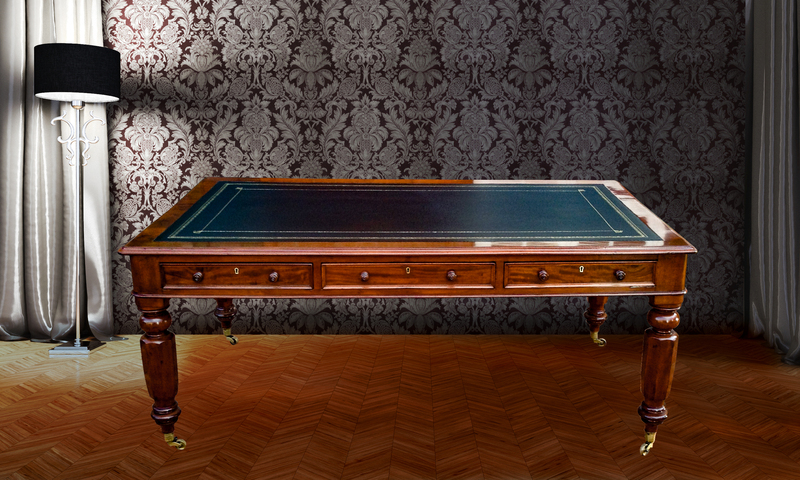 The table stands on four bodly turned octagonal legs terminating in the original brass cup castors. 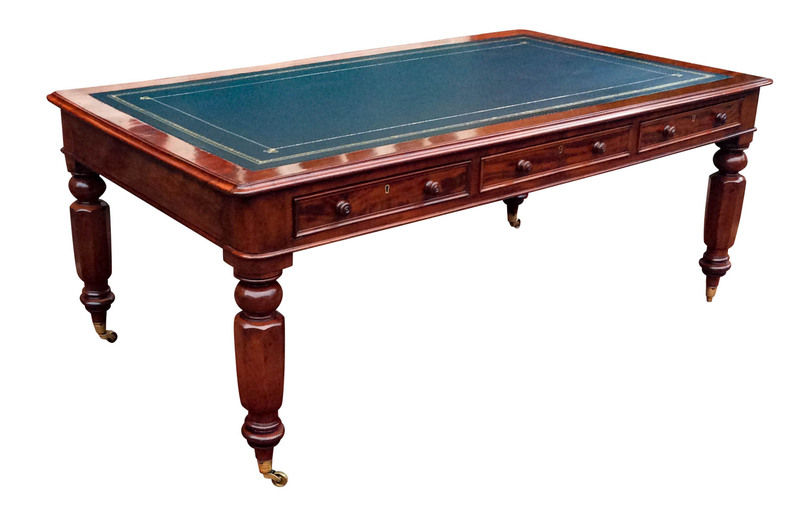 This well proportioned large antique partners library table or desk is in good antique condition. It has the knocks and bumpbs commensurate with its age and use. It would be a handsome addition to any office, library or study.